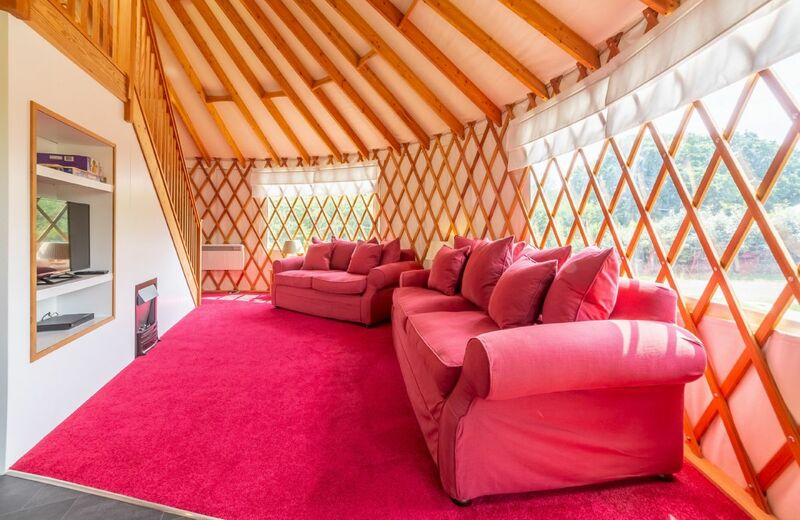 Willow Yurt is a high quality luxury yurt with large windows, French doors and a beautiful clear dome. 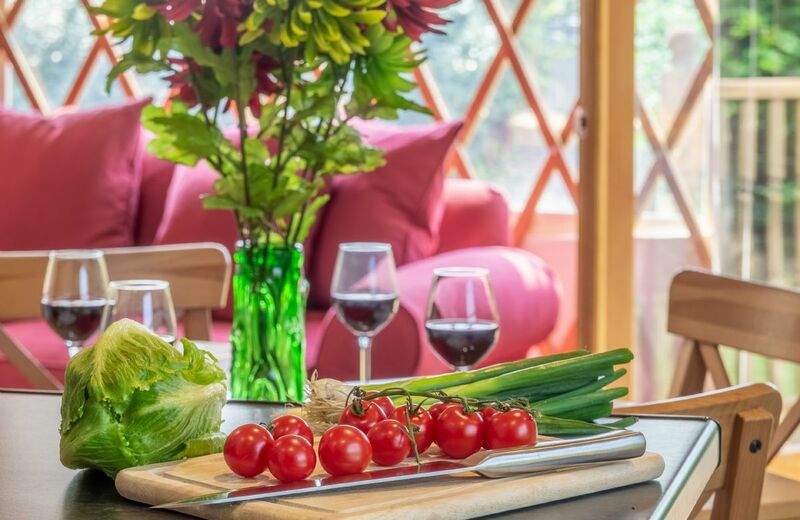 Other than its sisters, Ash Yurt and Oak Yurt, it is unlike any other yurt in the UK. Its unique interior design provides a cottage feel inside a canvas and wood structure. A spacious, light living area combined with Douglas fir rafters and lattice work make it a special space for family and friends to enjoy. An integral kitchen, bathroom, private ground floor bedroom and special upstairs sleeping area brings something very different from the usual glamping experience. 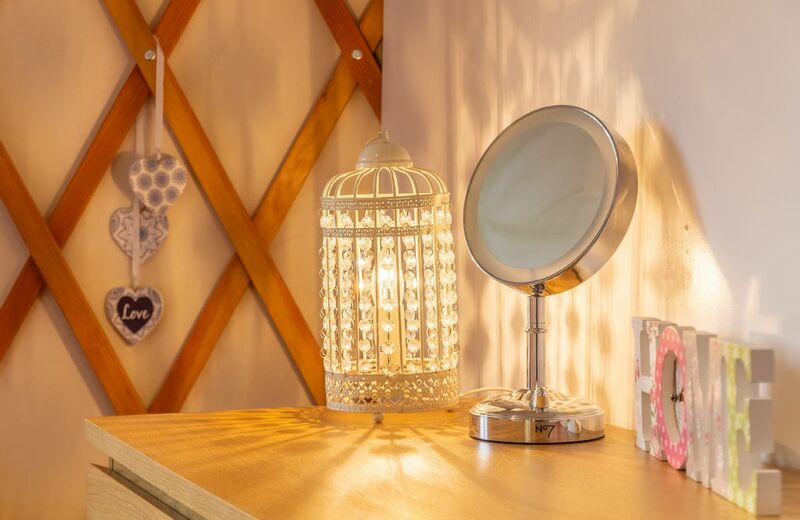 The furnishings ensure you have all the comforts of home whilst enjoying a relaxing break in the heart of beautiful farmland. 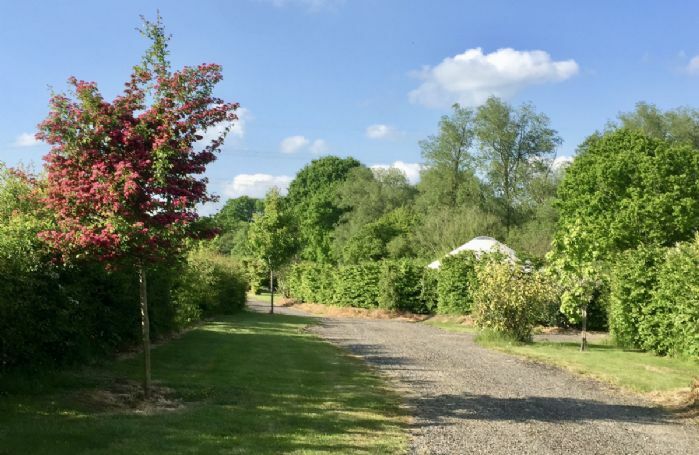 Willow Yurt, Ash Yurt and Oak Yurt are based on a small working farm in a rural location near the villages of Waldron and East Hoathly in the picturesque countryside of East Sussex. The surrounding landscape is predominately farmland with peaceful country lanes leading to the nearby villages and main roads. Uckfield and Heathfield are the closest small towns with the pretty county town of Lewes within a 20 minute drive. Sleeps five guests (maximum four adults). Ground floor bedroom with 6’ super king Hypnos bed. Mezzanine bedroom with three Hypnos single mattresses (two can be linked to make a 6’ super king mattress). Fully equipped ground floor bathroom with walk in shower, wc and underfloor heating. The Rural Retreats standard welcome hamper is not provided at this property, however a few essentials such as breadcake, butter and juice are. Central heating with wall heaters and electric flame effect. Fitted electric oven and hob, microwave and fridge/freezer. Television with Freeview and DVD/Blu-ray player. Selection of board games and books. Garden dining set with multifunction centre (barbecue, fire pit, ice bucket or parasol). There are a good selection of shops, supermarkets and pubs nearby with the closest being East Hoathly with a village shop, café and pub. A little further afield but still in easy distance are Horam (4 miles), Cross in Hand (4 miles) and Uckfield (6 miles). For a fantastic family day out visit Drusillas Park with zoo, children’s play area and rides. During the summer months the Bluebell Railway operates a steam train running between Sheffield Park and East Grinstead. Explore the seafront and piers at Eastbourne and Brighton, both of which can be reached in around 45 minutes’ drive. There are some beautiful riverside walks down to the sea in the Cuckmere Valley with stunning views across to the iconic white chalk cliffs of the Seven Sisters Heritage Coast. Visit the picturesque county town of Lewes with its cobbled streets, local brewery, lots of antique shops and the River Ouse running through it. Explore 800 years of history at Michelham Priory House & Gardens.